A strange thing happened yesterday. 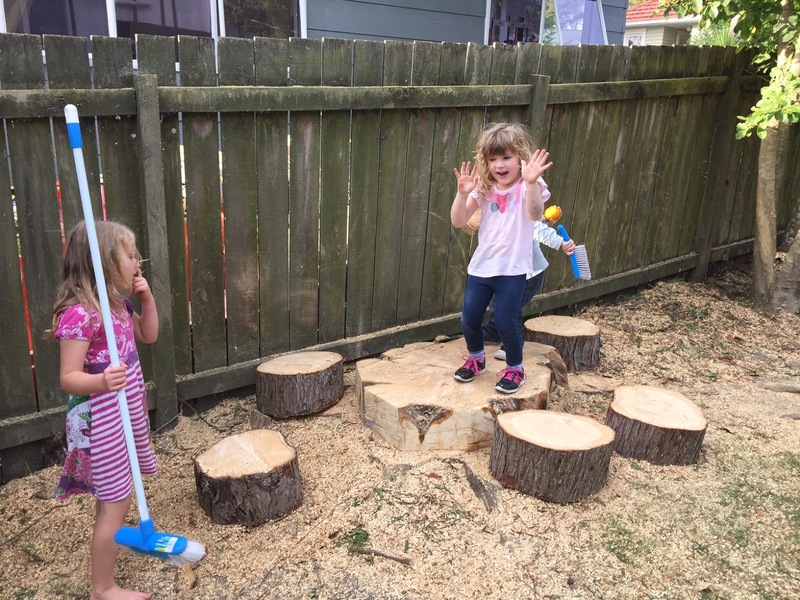 An arborist knocked on our door and asked if I wanted the dying tree in our backyard cut down. He had a team there ready to go. This is something I had already approached an arborist about, because I was concerned that the tree might fall on our house, or worse, on the preschool next door. I asked him to quote and he said $3,500. I said there was no way. He said he could come down a bit, to $2,500. I said it was still way out of our league. Then I asked him how much they could take down for $1,000, just to get it to safe levels. He said they could get it down a fair way so I gave the go ahead to proceed. After his team got started, the manager from the preschool next door popped her head over the fence and asked whether she could have the wood for firewood. I didn't need it so the arborist told her that was fine. 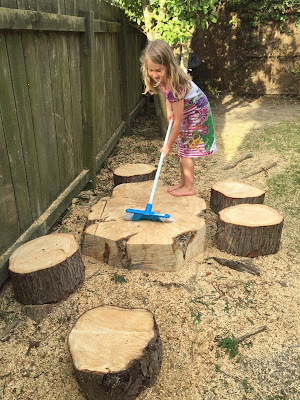 He then went one better and asked her if she would pitch in another $1,000 so that we could take the tree all the way down to the ground. She agreed! 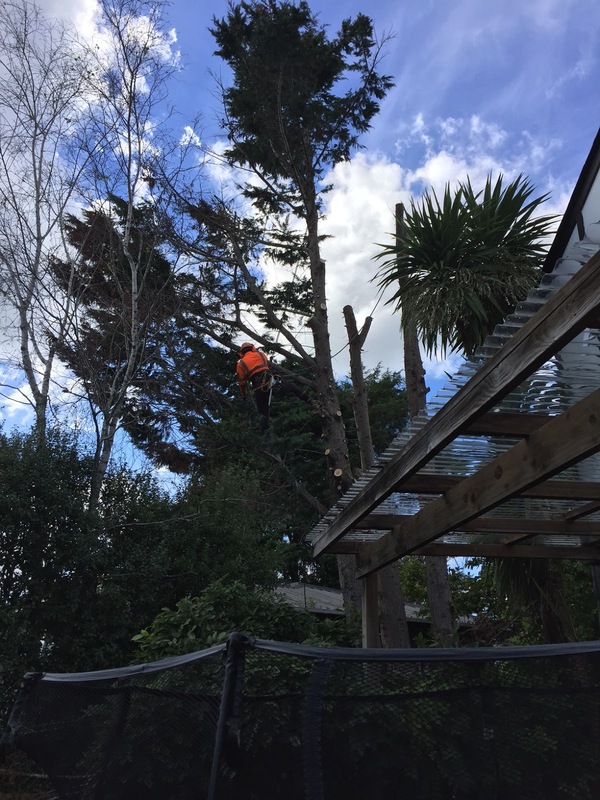 So that's how I ended up spending yesterday watching the Cirque du Soleil of tree cutting. 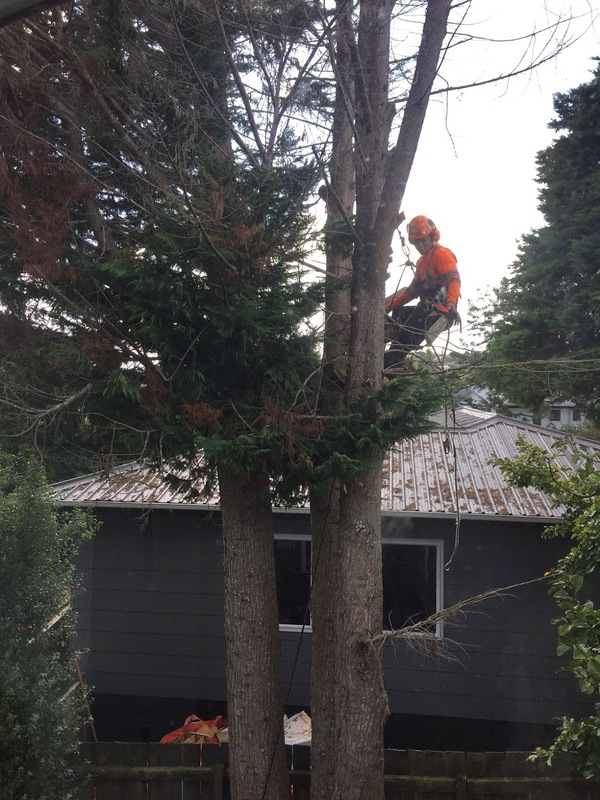 Man oh man, that arborist could defy gravity. It was like watching Twilight all over again. On an educational level, I found it interesting watching the team's technique for cutting the large branches and bringing them down on ropes so they could guide where they fell. Now I want a chainsaw for Christmas. 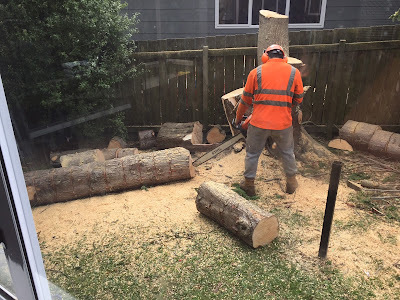 Today the tree cutting team came back to finish the job, cutting the trunk down to its stump and chopping up logs for firewood for the manager next door. Chainsawing the stumps for firewood (and fairy chairs). L tells me she's going to be responsible for keeping the table and seats swept clean. 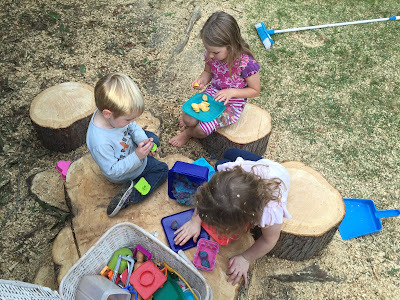 J likes playing with his play doh out here, and all the kids love playing with the saw dust. Check out S's hair. Confetti! Play doh and afternoon tea on the new table and chairs. 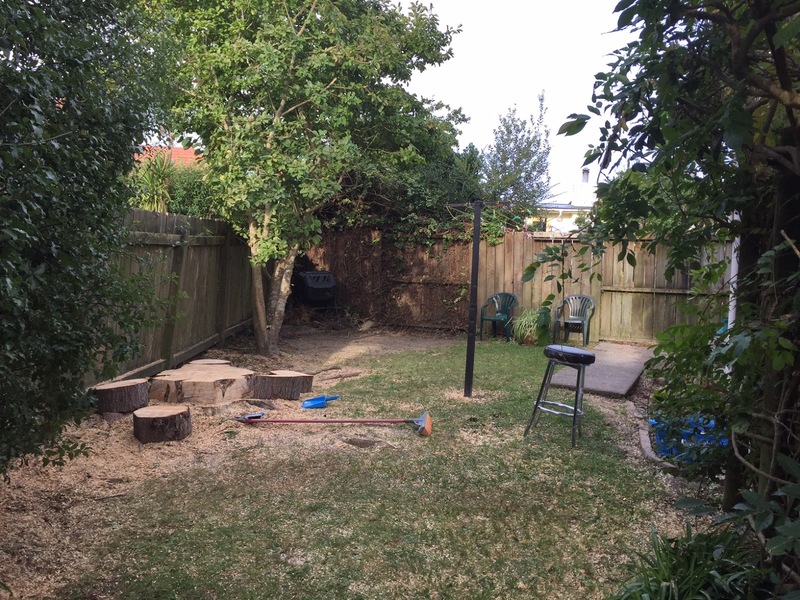 This corner of the yard is much brighter now. 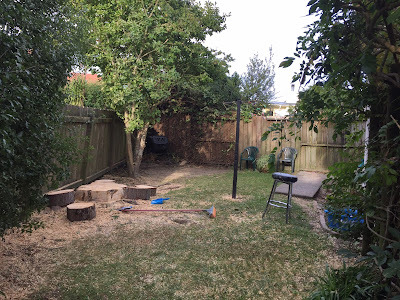 I'm thrilled to have that worrisome tree gone, and so pleased it has added a fun play area to the yard. Another perk is that my washing line now gets heaps more sunshine on it. The tree used to block the light for most of the day, so I wasn't having much luck getting things dry out there. Speaking of which, I am going to share my energy saving clothes drying tips, but that post will have to wait for another day.